We definitely had a failure to communicate. This confusion probably was due to my misguided assumption that I was laying down a strong foundation of understanding before encouraging teachers to make physical and instructional changes. I returned home perplexed and obsessed with thinking about this conversation. It kept me up for most of that night. The next morning I sat at my computer and began to think about the concept of describing an inquiry-based classroom some more. 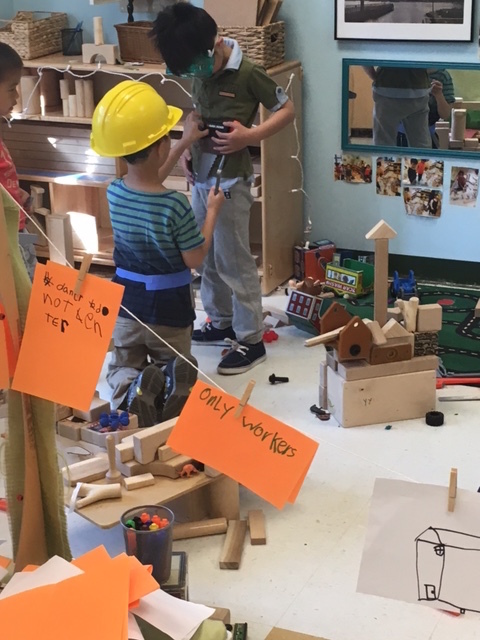 I created an outline of what I might expect from a classroom where inquiry, exploration and play would intrinsically be the foundation for an early childhood curriculum. 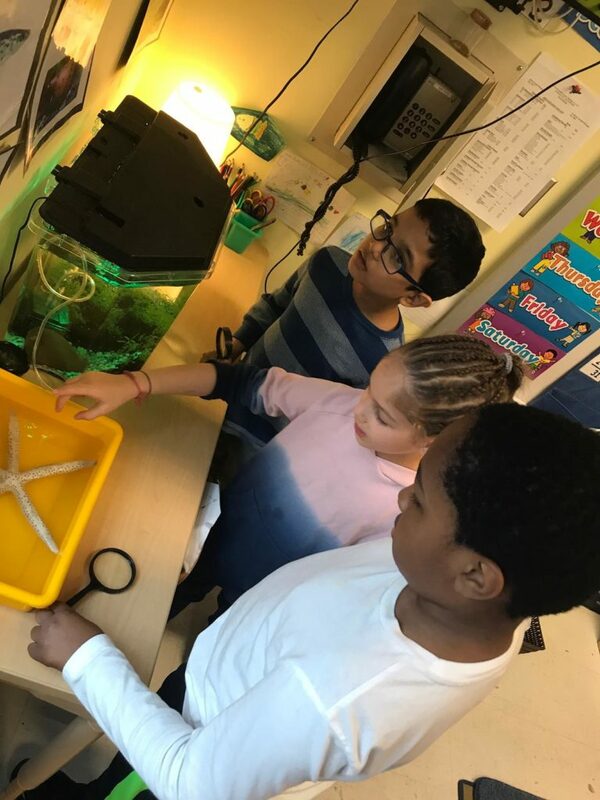 With the help of my two wise friends, Julie Diamond and Shelley Grant, I came up with a few bullet points that outlined some understandings that I believe a teacher should have in order to create an inquiry based classroom. This outline is by no means complete. It’s a work that is very much “in progress.” I am hoping that my blog readers will comment and add suggestions for revising this list. I welcome your thoughts! In this time of standardized testing, evaluations, and finger pointing we need to redirect and bring the attention back to what children, teachers and schools REALLY need. The teacher has an understanding that the child comes to school as a fully formed person, not as an empty vessel that needs to be filled. ∗ This implies respect for who the child is and for all the knowledge that the child brings to school from his/her background. ∗ The teacher will develop a curriculum that begins with what the children already know and builds on the child’s sense of wondering. 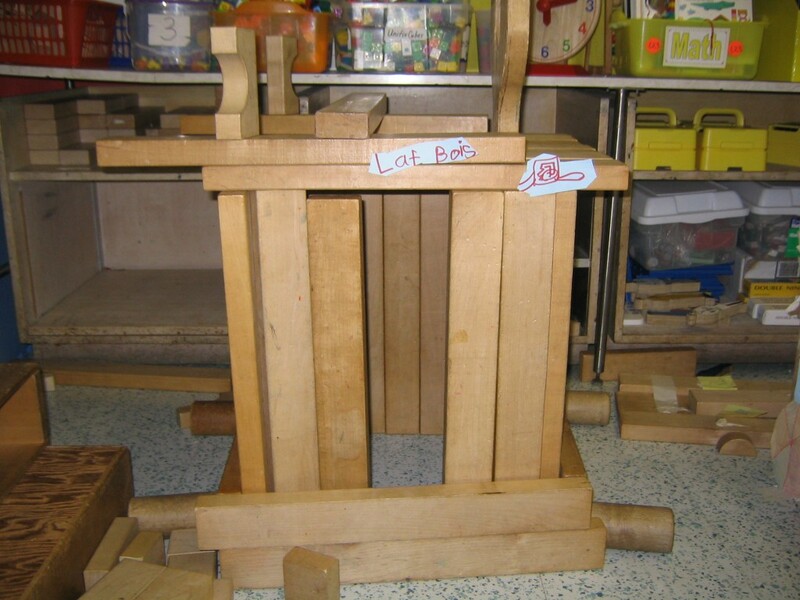 ∗ Young children need large blocks of time for exploring, building, pretending, etc. ∗ Children shouldn’t be rushed from one activity to another. 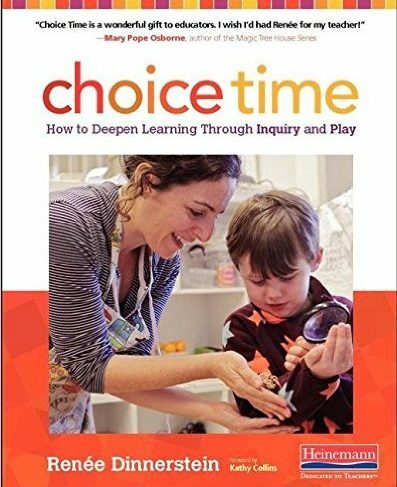 ∗ Inquiry and Choice time (or whatever you are calling the work/play time) should be at the heart of your program, particularly for pre-k, and kindergarten. Because of that, it needs to be scheduled early in the day. ∗ In the first and second grade too, Inquiry and Choice Time shouldn’t be left for the end of the day because children will be tired from a day of academics and, therefore, will most likely not get the most out of this rich part of your program. 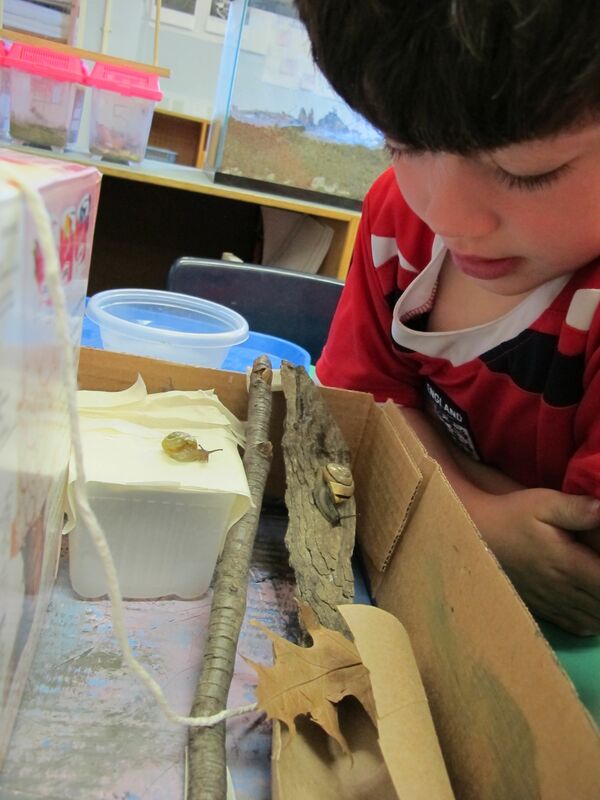 The teacher understands that the child’s curiosity should be scaffolded and nurtured throughout the day.∗ There are opportunities for questioning and explorations all day, throughout the curriculum. 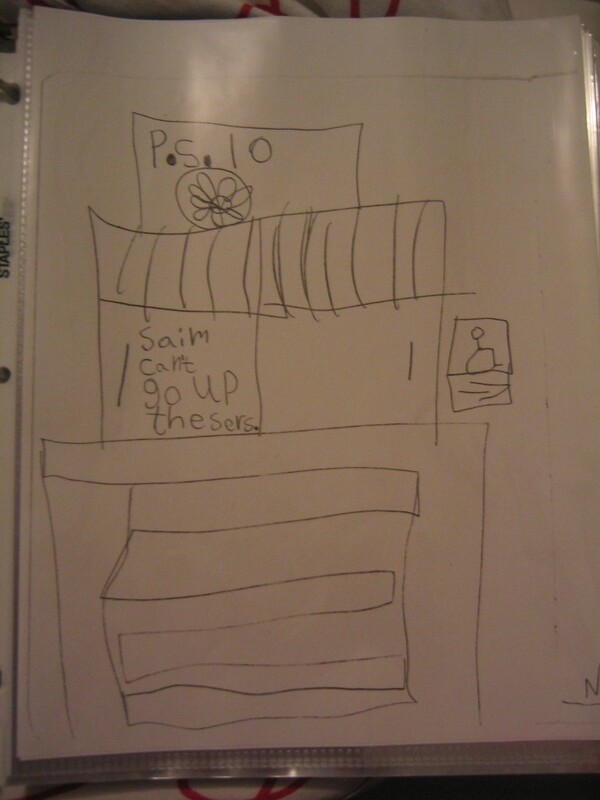 ∗ As an example, if the teacher plans to teach the spelling of the sight word “it,” the children might be asked what they notice about the word, what will help them to remember it, etc. Perhaps one child might say, ”It starts with the same letter that Inge’s name starts with only it’s the small “i. 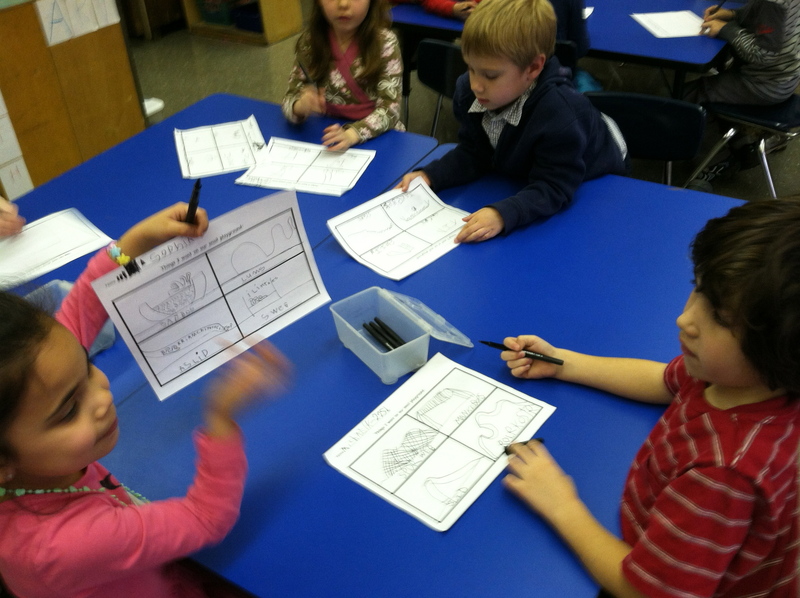 ” The teacher acknowledges that as a valid strategy for remembering the word. Another child might add that “it” is a small word because it only has two letters. 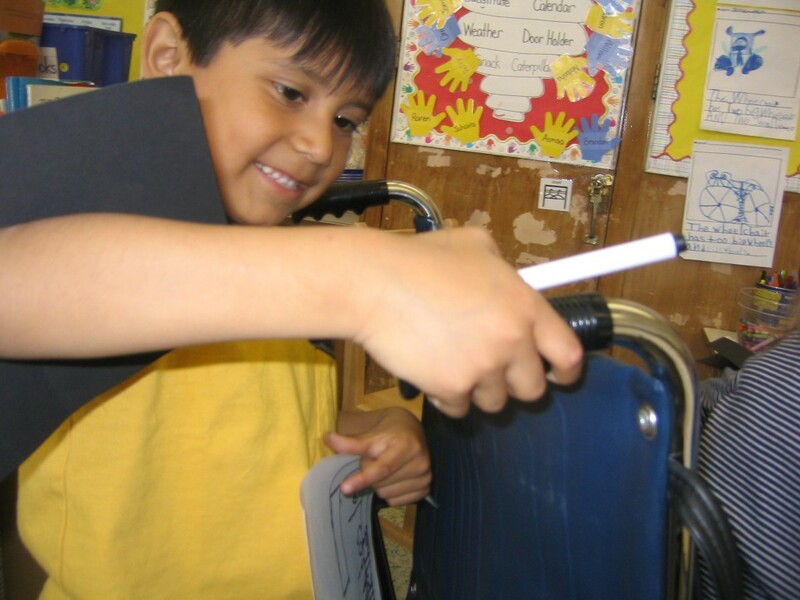 ∗ Rather than beginning with drilling the spelling of a new word, the children are encouraged to bring to the lesson what they already know and to share it with the class. 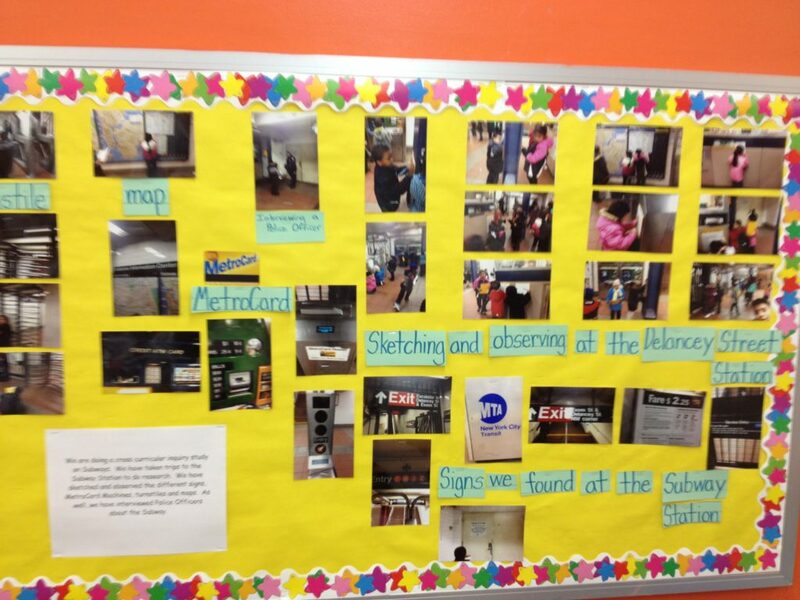 ∗ Teachers are taking notes on observations throughout the day. These notes are reflected after the school day and used to plan new lessons and centers based on this valuable information. ∗ There should be an area in the room where children can keep on-going projects, for example an art project or a Lego construction. 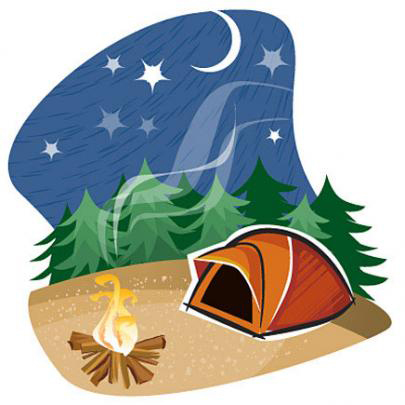 ∗ Children should be encouraged to return to a center another day to continue work on a project. ∗ The block center should be away from traffic and should be large enough for a group of children to comfortably work there together. ∗ The teacher makes sure that there are appropriate tools, materials, books and blank paper (even blank booklets) in each center. ∗ It should be clear where materials belong. 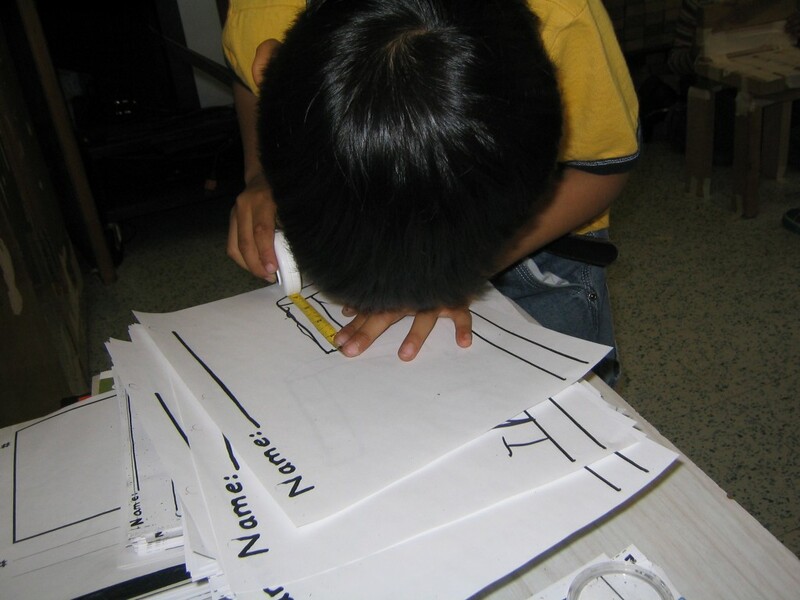 Labels with drawings or photos can be taped on shelves to show children where to get and return materials. Failure should be seen as a part of learning and as an opportunity to take a risk. 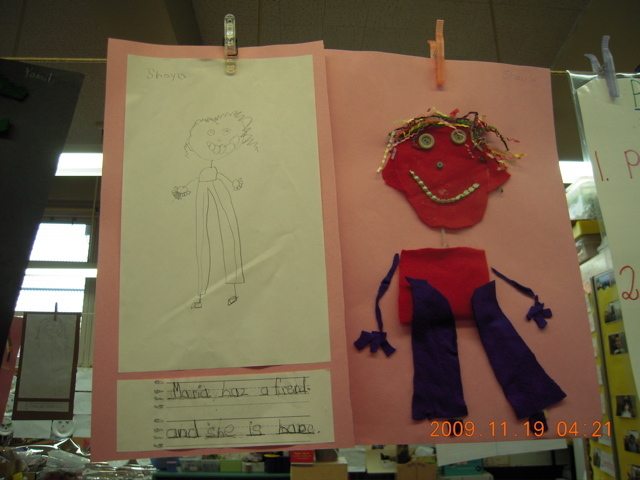 ∗ It’s much more productive to concentrate on “acts of kindness” where a child observe a classmate performing an act of kindness, shares this with the class and it gets posted on the bulletin board. This encourages empathy and community. The children should feel part of a community and a member of a joyful class. 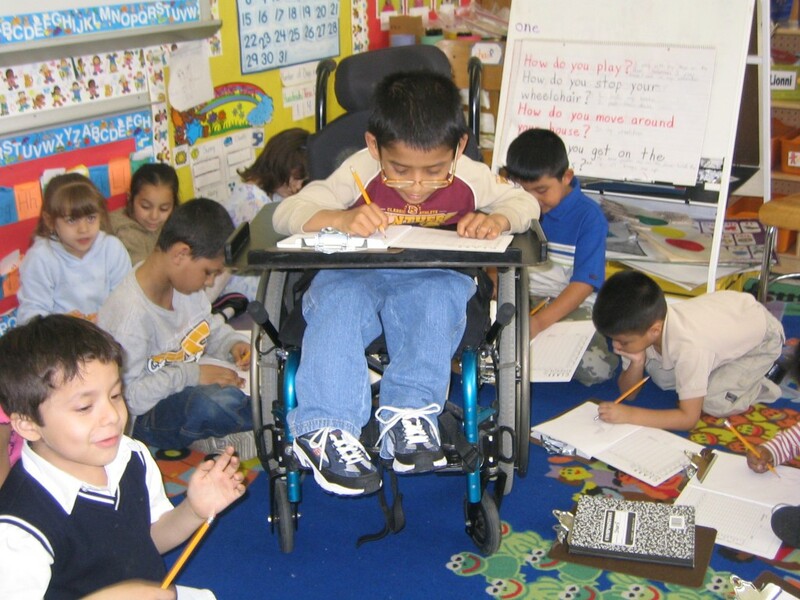 The children should feel a sense of shared ownership of the classroom. ∗ Time is set aside for class meetings where children share their observations, questions, and the work that they have completed or works in progress. ∗ These meetings are opportunities for children to take part in meaningful dialogues. ∗ The teacher enters into the conversation both as a facilitator and as a model. ∗ The children and teacher decorate the room with the children’s work and not with commercial charts, borders and other materials that can better be produced in the classroom. Someone sitting in a factory in, say, Michigan, does not know the children in your class. ∗ It’s much more effective to have children and teachers collectively come up with class rules. ∗ Children can create number and color charts if it appropriately comes up in class discussions. ∗ Having their own work decorating the room, such as their own alphabet chart hanging across the front of the room, gives the children pride in their work and in their classroom. 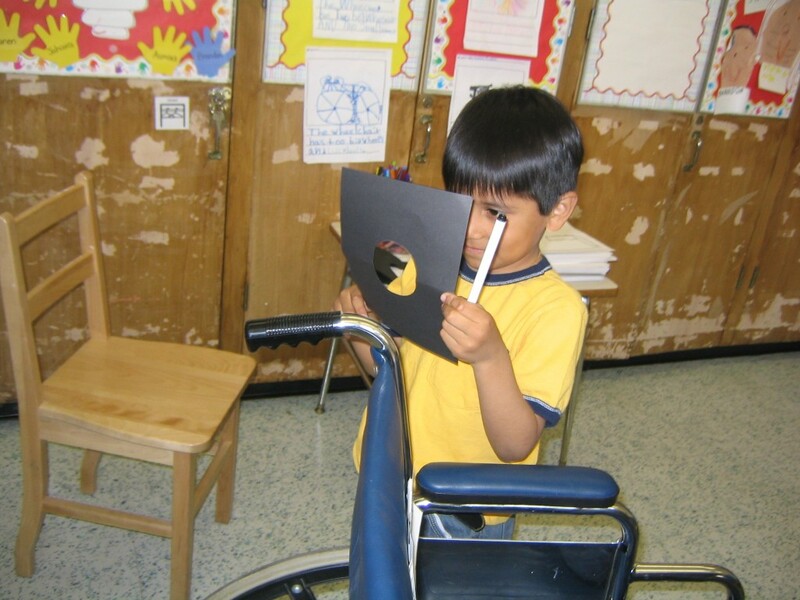 ∗ Children understand how to use the materials in each area because the teacher has explicitly taught how materials are cared for and where they are stored. 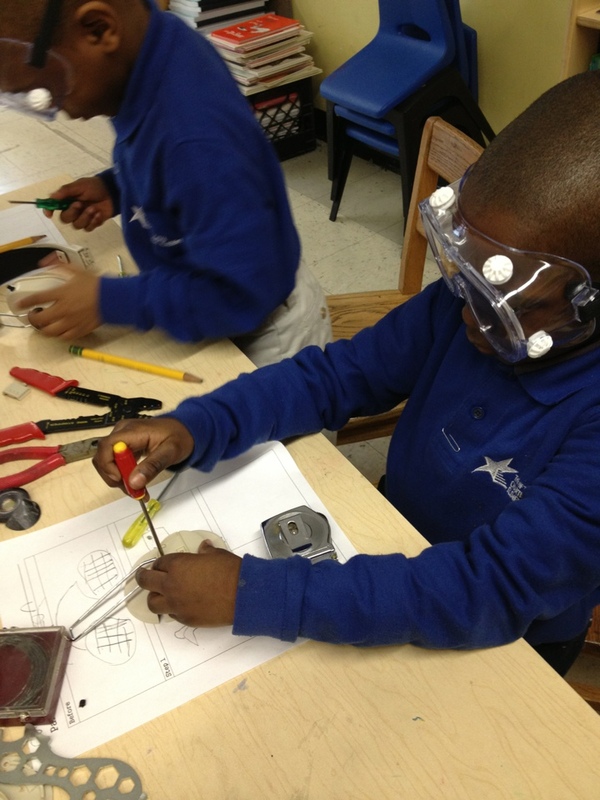 The teacher also teaches the routines for going to centers or activities, and cleaning up when the period is ended. 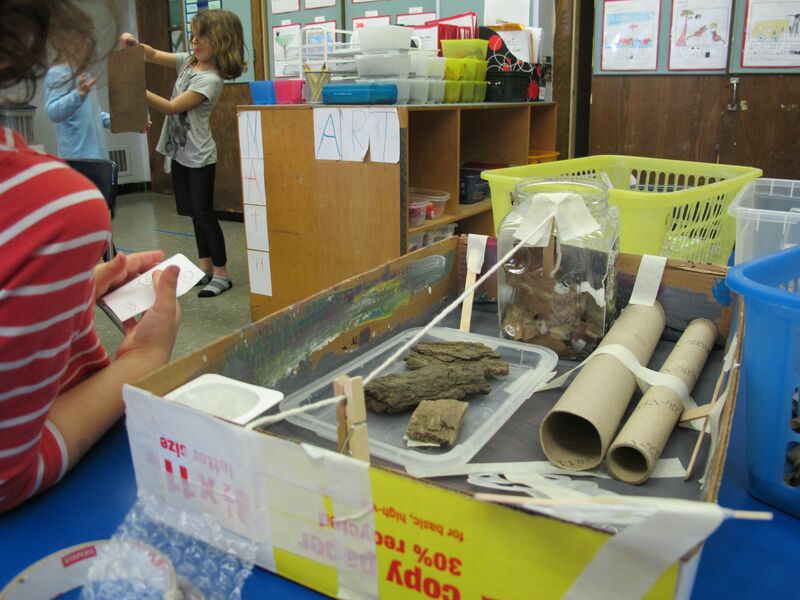 This entry was posted in Investigating Choice Time: Inquiry, Exploration, and Play and tagged Acts of Kindness, Amy Valens, Choice Time, exploration, Good Morning Mission Hill, inquiry-based, Ionesco, Julie Diamond, Mission Hill School, Shelley Grant on October 5, 2014 by Renee. 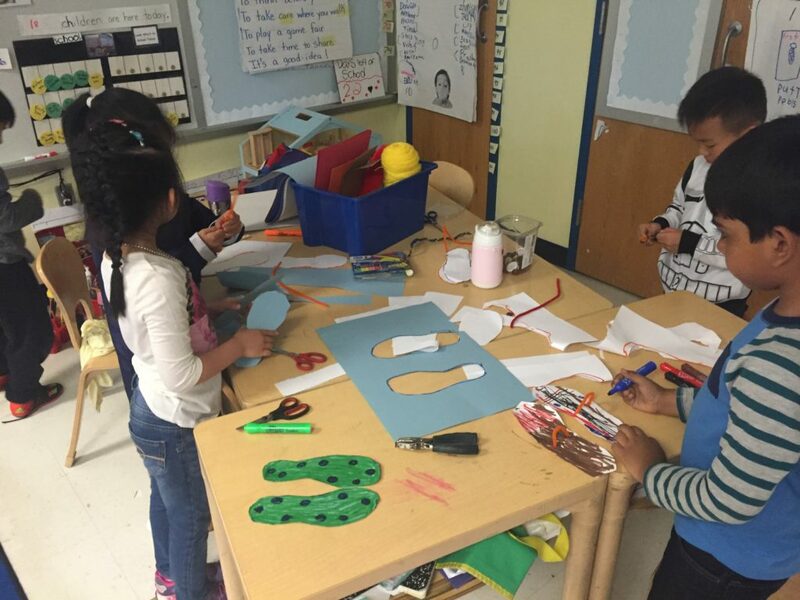 In response to the unfortunate atmosphere of teacher bashing that we are living through, I would like to focus on some wonderful work being done by a group of hard-working teachers in a public school in New York City. 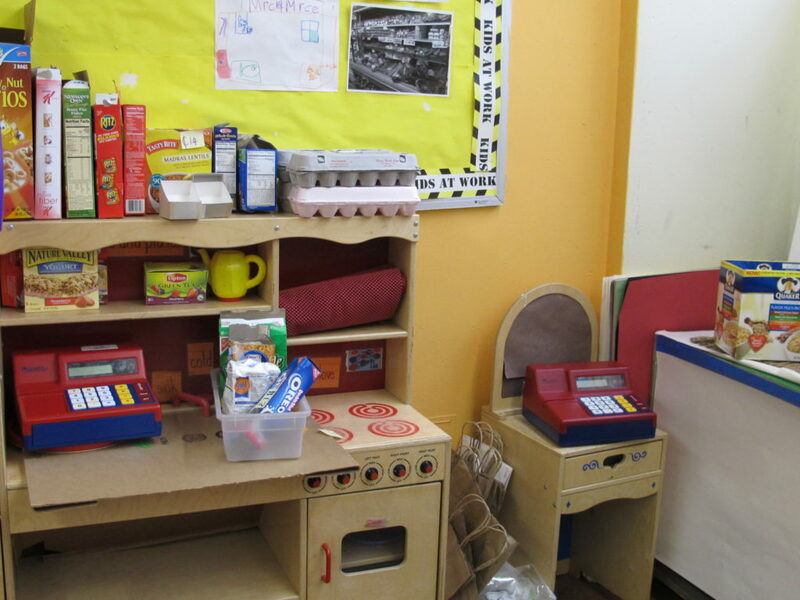 Here’s a bit of background information about this barrier-free, pre-k – 5 school, located on the Lower East Side, which is situated in the shadow of the Williamsburg Bridge. The ethnic breakdown is approximately 75 % Latino, 20 % African-American, 3.5 % Asian and 1.5 % ‘other’. Many of the children live in shelters or foster homes. 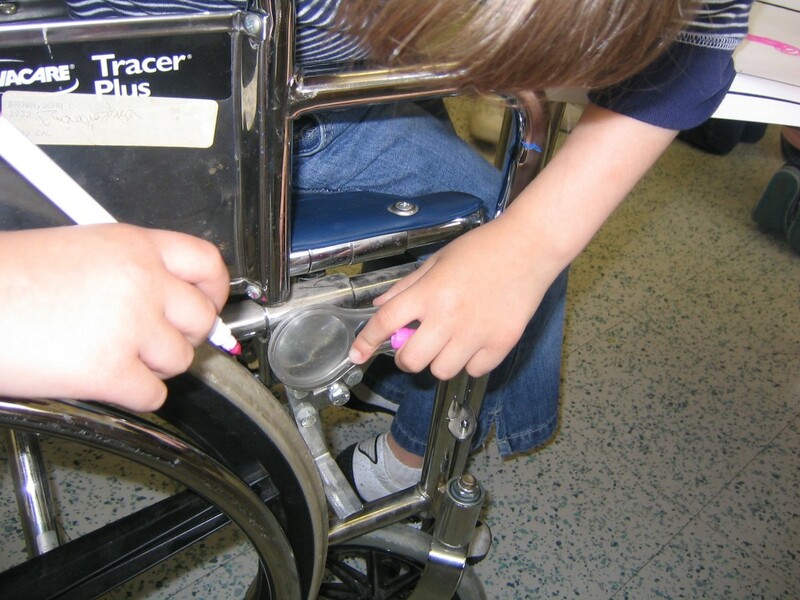 There’s a large special needs population, often transferring into the school mid-year. Because of the No Child Left Behind legislation, families from other areas of the city transfer their children into this hard-working, caring school and, because children are traveling long distances, there’s a major problem with lateness and absences. This year, the heavy-duty budget cuts came down hard on this community. 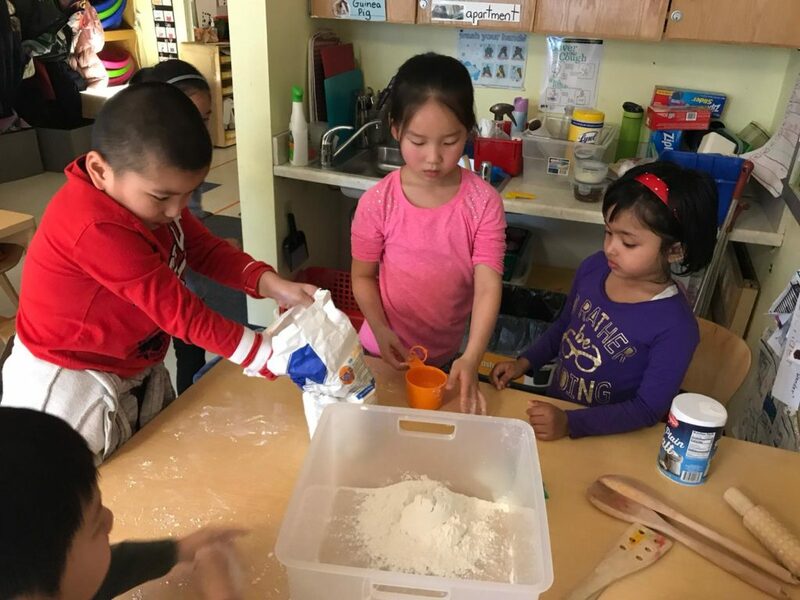 Without any significant PTA fundraising, staff is often forced to reach into their own pockets if they want to provide any extra materials for their classrooms. Four years ago, I was approached by their network leader, Dan Feigelson, and asked if I could do some consulting work here with the kindergarten and first grade teachers. 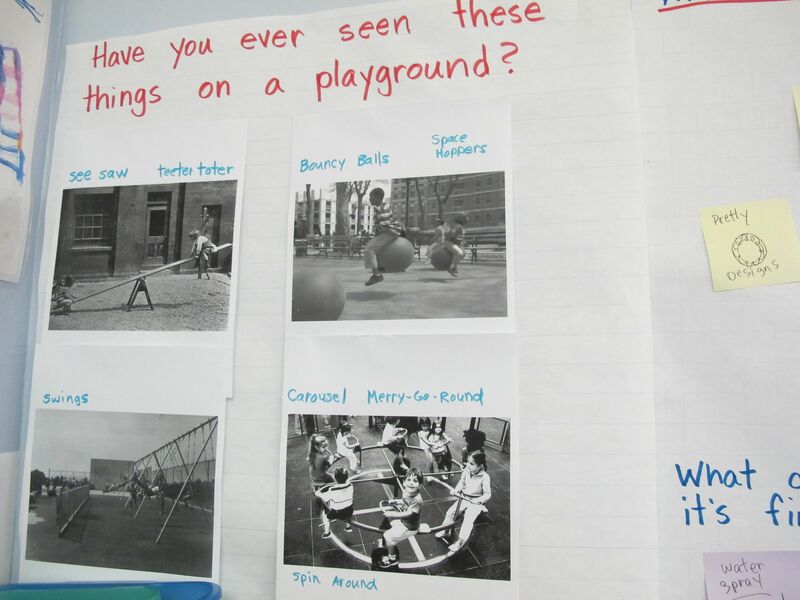 He was familiar with the inquiry and Choice Time work that I had done in my own classroom (we had been colleagues at P.S. 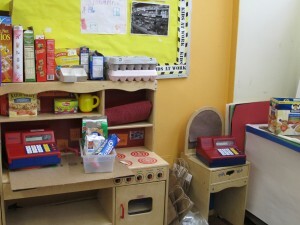 321 in Brooklyn) and thought that the children would benefit from more exploration and playtime. The principal, a former pre-k teacher herself, was in agreement. 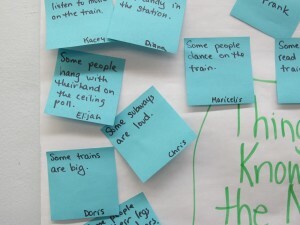 The school already had a long-term relationship with the Teachers College Reading and Writing Project. 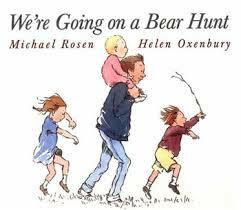 The children were making progress in learning the technicalities of reading and writing. However, they were challenged when the content became more complex. Because of personal stress in their lives, children had difficulty working collaboratively and in resolving conflicts without resorting to violence. 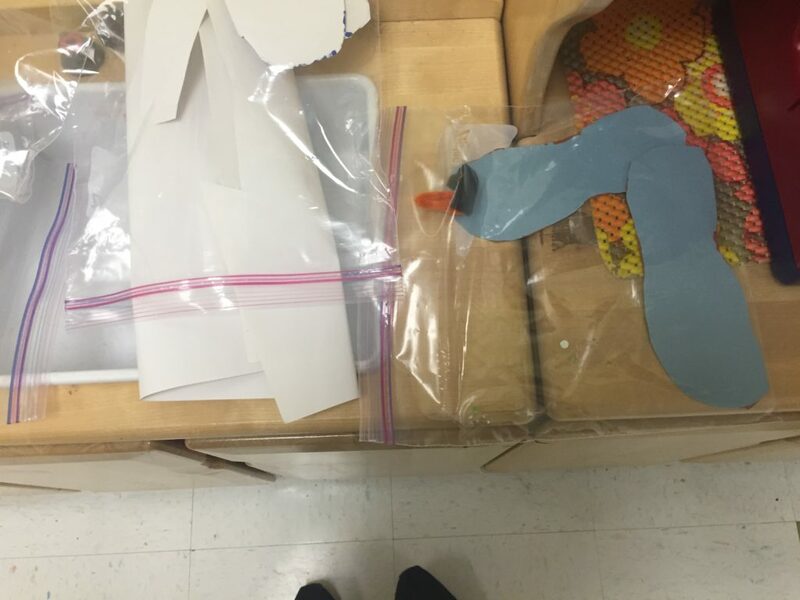 The administration believed that the children needed more opportunities to learn and practice positive social skills and to engage in abstract thinking. They decided that the place to begin working on these problems was in the early childhood grades and that is when they decided to approach me. Here were some of my impressions when I first visited the school: very hard-working and committed staff; positive tone in the classrooms; I did not hear teachers yelling or using harsh words when disciplining children; kindergartens had an unplanned form of Choice Time (really more like free-play) for 20 – 30 minutes at the end of a day filled with all academics; classrooms had very little organization of centers and practically no sense that children were expected to use materials independently (in the block ‘center’ were math manipulatives, dramatic play, teacher-materials stored, etc., there was no visible art center); first grade classrooms did not have Choice Time at all (occasional ‘free play’ as a reward for good behaviors); there were no blocks in the first grade rooms and a very small collection of blocks in the kindergartens. 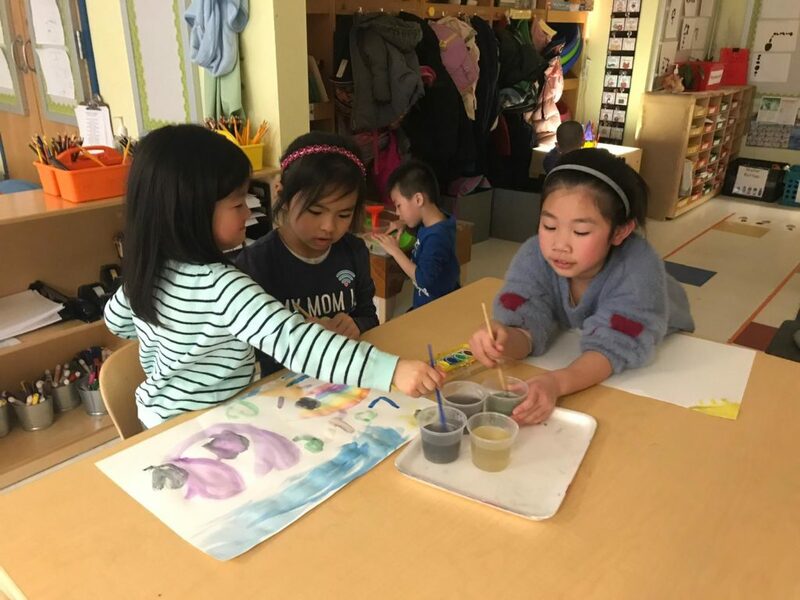 Drawing on the Reggio Emilia philosophy of considering that the classroom is the second teacher, we first worked on room environment. I wasn’t sure if I was putting the cart before the horse, but it seemed like a concrete way of beginning. 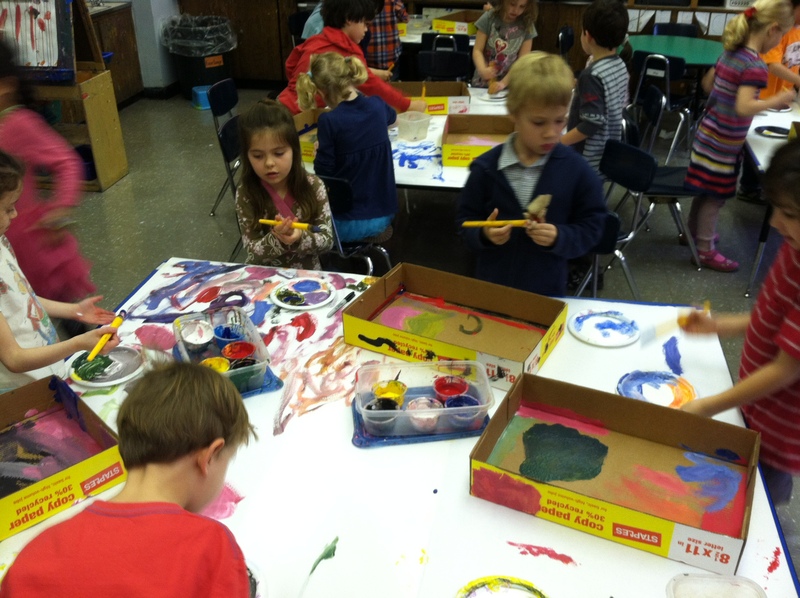 Major changes were made in the ‘look’ of the classrooms. The principal also ordered unit blocks for all kindergarten and first grade rooms. 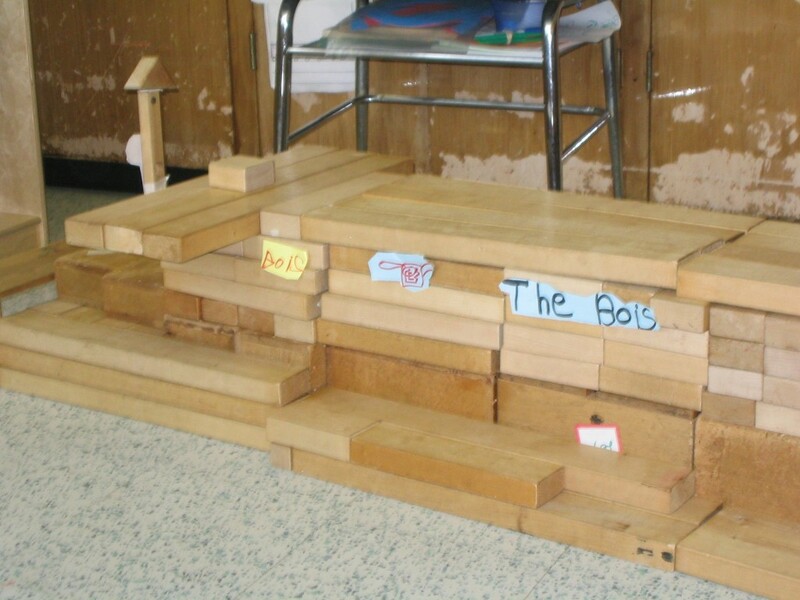 To my delight, the teachers began noticing immediate changes in the way that the children were using materials and in the general classroom ambiance. 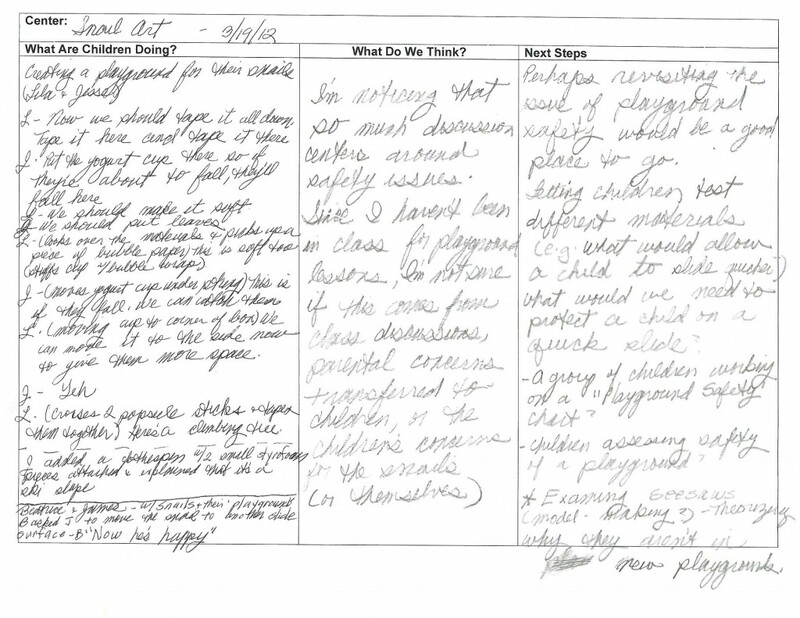 We then planned out some studies that the teachers thought would interest the children, support their curriculum and also interest the teachers. The first grade teachers wanted their inquiry project to have a social element to it. They thought about the day-to-day lives of the children, and what would be important to all of them. Most of the school population, rather than using private physicians, either went to the emergency room of the local hospital or to a nearby clinic. This is where the teachers wanted to begin…with a study of the EMS. This also morphed into an ambulance study because of the children’s interests and questions. They visited the local clinic, had a doctor and a nurse visit the classroom, and examined up close an ambulance that visited the school specifically so that the children could explore the inside and outside of the vehicle and interview the EMS workers. Some children became fascinated with bones and what was happening inside their bodies. 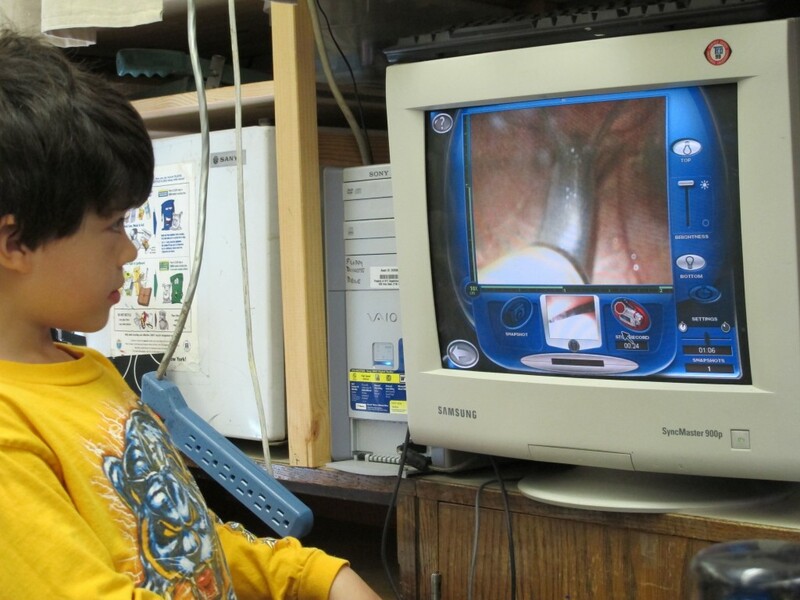 In the classrooms, ‘hospitals’ were created along with x-ray rooms (overhead projectors, old x-rays). 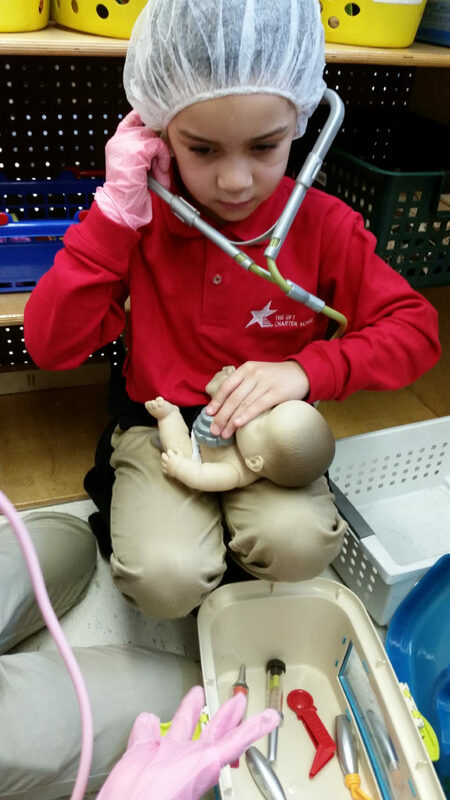 In one first grade room during their choice time, I observed a boy, doll in arms, racing to the “x-ray” room. “My baby hurt his arm. He’s crying! Help me”. The doll was quickly put on the overhead projector and the “x-ray technician looked at the shadow on the wall. He held up an x-ray, looked at it and said, “Your baby has a broken arm. Take him to the hospital!”. He wrote a little note on a pad, gave it to the ‘father’, who took it and rushed back to the classroom hospital, where the baby’s arm was carefully wrapped up with an old ace bandage. 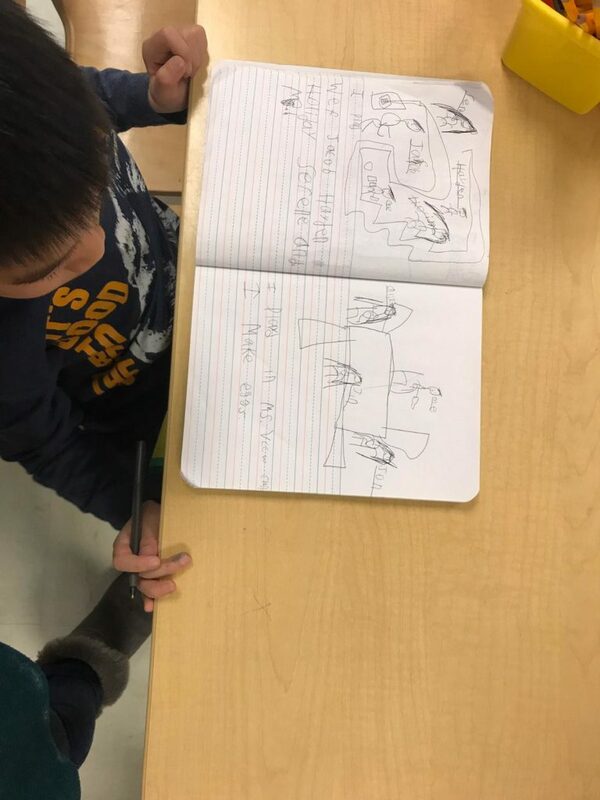 That same day, at Choice Time in another classroom I noticed two girls tracing the body of a boy on butcher paper and then, using a book as reference, drawing in the bones for the body. 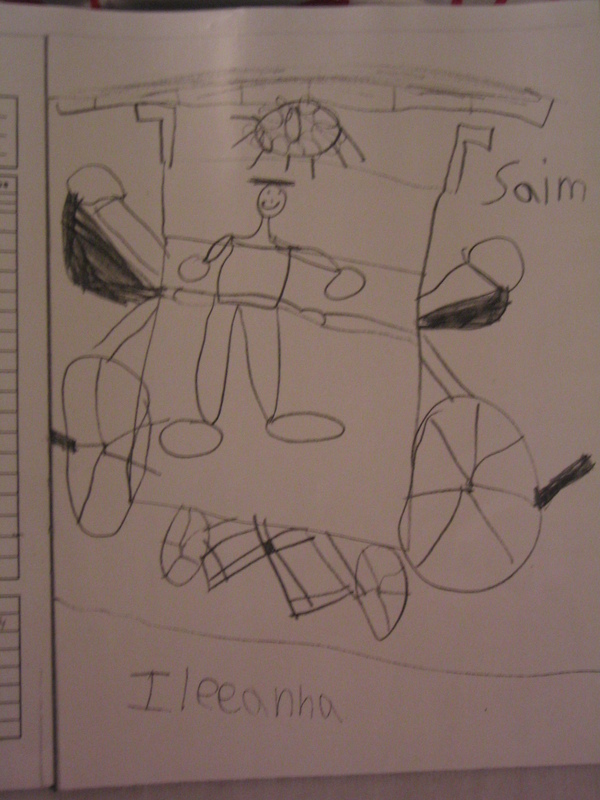 At the same time two other children were using the overhead projector to trace an image of an ambulance. They kept turning it on and off to check their work. This drawing was going to be the ‘plan’ for an ambulance model that they would later create out of cartons and other materials. 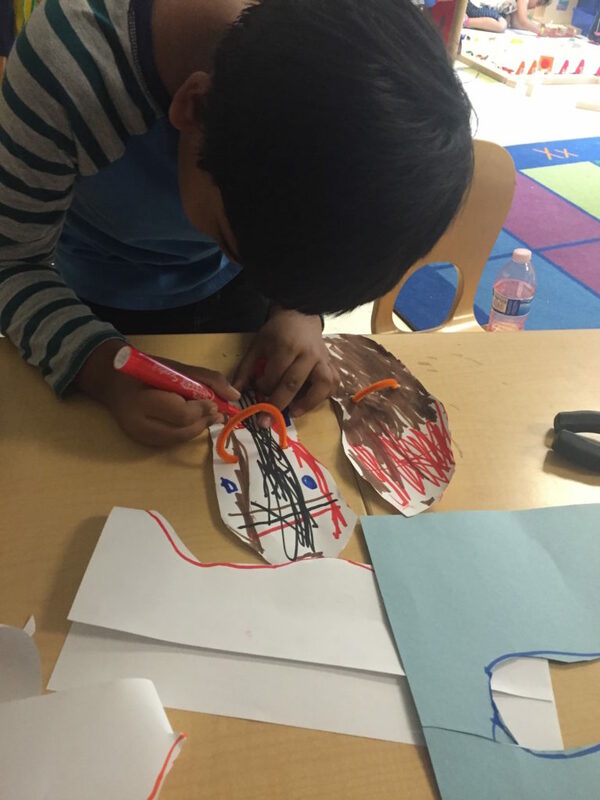 The Kindergartens began with a study of the local firehouse, making many field trips there, exploring the firetruck, interviewing the firefighters, checking out their own homes for fire exits and smoke alarms and creating their own home-safety plans. This year is my fourth year working at this school. Some of the studies that have taken place are a kindergarten exploration of “Beautiful Stuff” ( children brought in ‘found’ objects from home like buttons, toilet paper tubes, broken pieces of jewelry, wood scraps, etc., sorted and labeled all of the ‘booty’ and brainstormed for ideas on how to use these materials in different projects) , a study of the local bakeries, a neighborhood garden study ( I watched children in the block center creating different areas for a classroom garden, using sketches that they worked on together. There were children in the science center planting seeds in small pots that they decorated. When they were finished planting, they brought the pots to the block center where they were put in the ‘community garden’. 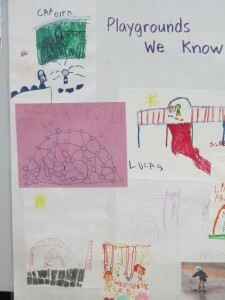 ), a first-grade study of bridges, particularly the Williamsburg Bridge and a study of the NYC subway system. 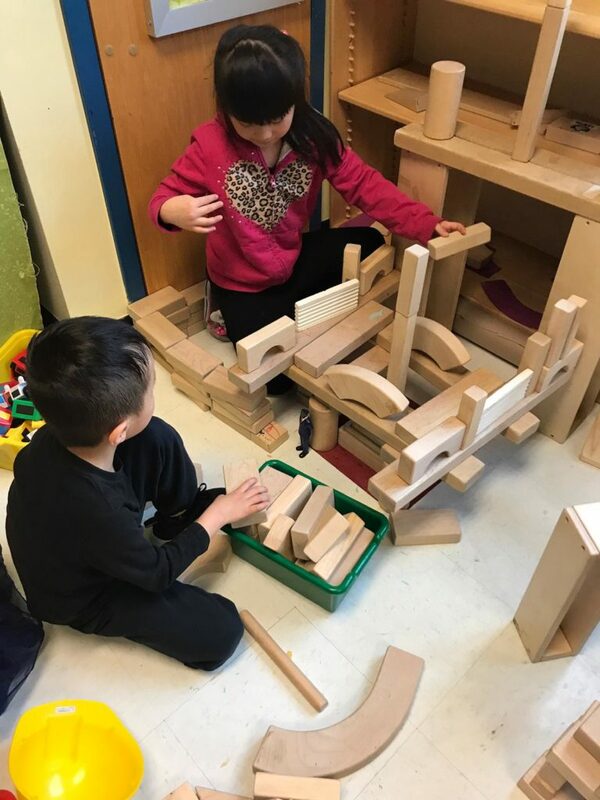 Each first grade class designed and built bridge towers outside their classroom doors and then connected them across the corridor to make one large suspension bridge! o	Parents have told the teachers the their talk about things that they are exploring in class and use a lot of new vocabulary. I am noticing that the flow of the day is much more ‘child-friendly’. Kindergartens have Choice Time for an hour every morning. They go on more neighborhood trips. The first grade has Choice Time at least twice, sometimes more, each week and they too go on curriculum-related trips more often. 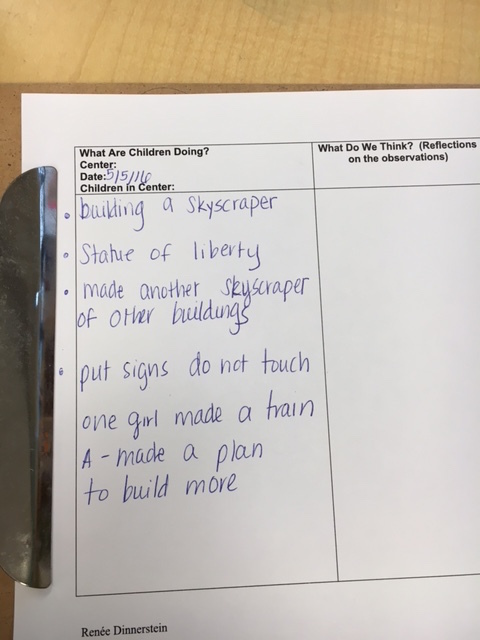 When we discussed future professional goals, the teachers asked if we could focus more in depth on using documentation and assessment to help in planning whole class and small group projects and investigations. These teachers have worked so hard and been so admirable in their professional growth. 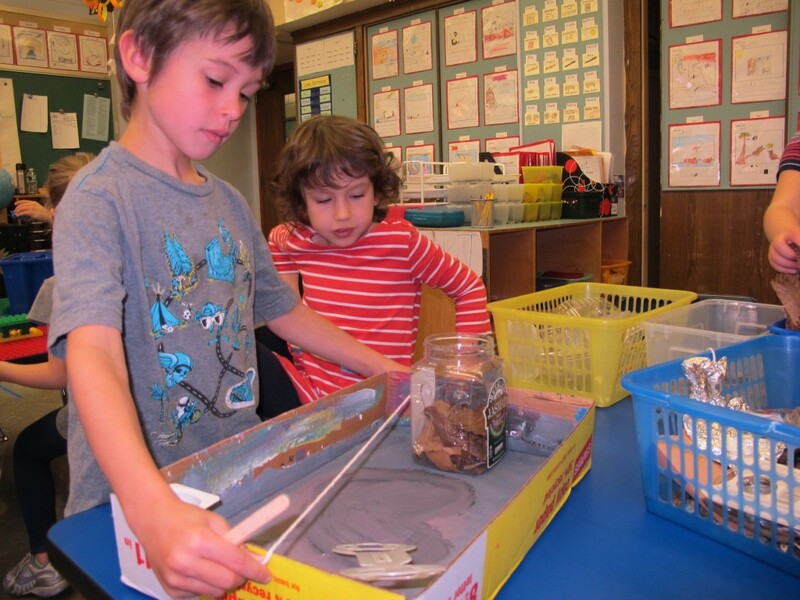 Their classrooms breathe with imagination, inquiry and a real life force! This entry was posted in Investigating Choice Time: Inquiry, Exploration, and Play and tagged assessment, barrier-free, Beautiful Stuff, Choice Time, documentation, early childhood, field trips, inquiry, investigations, No Child Left Behind, resolving conflict, teacher-bashing on May 22, 2011 by Renee. 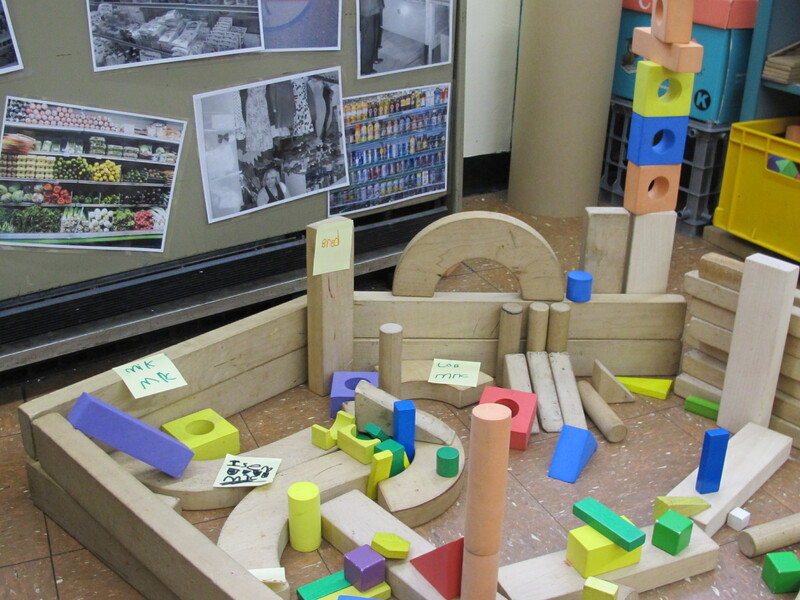 Recently, a teacher new to teaching kindergarten asked me how she should know what centers and materials to offer children during Choice Time. She wondered what the “trick” is to planning for Choice Time. 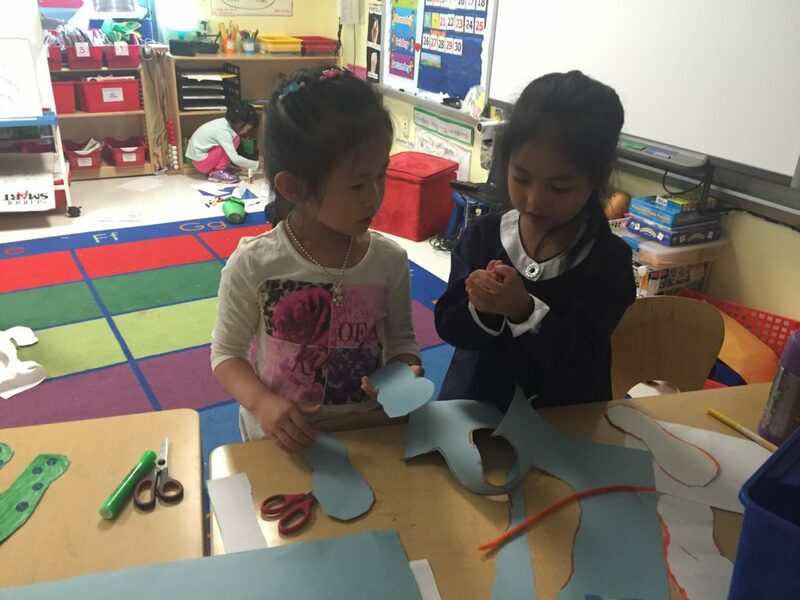 I think that the most important aspect to planning choice time centers is for the teacher to be a good listener and observer. 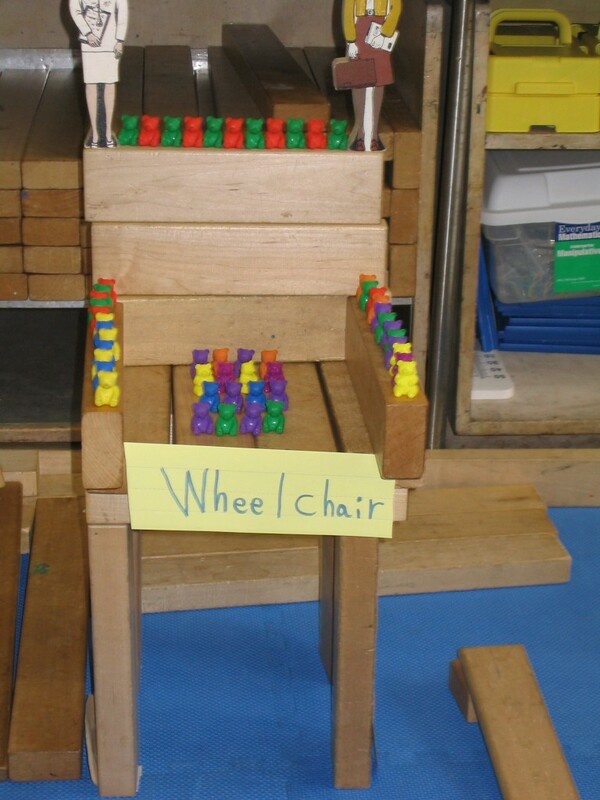 For example, in one class that I visited, the children were playing with Unifix cubes. They were making the line of cubes higher and higher. There was a lot of excitement. I walked over and exclaimed that the line of cubes seemed to be as tall as I am. I stepped over next to the tower. It reached my chin. One boy said, “wait” and got more cubes to add to it. (I actually had to put them on for him because, even though he got on tiptoes, he couldn’t reach. We kept adding one at a time until one of the children called out “Stop”. It was as tall as I am. That was the perfect opportunity for the teacher to have the children share this experience at the Choice Time share meeting. She could start ‘wondering’ how many cubes might reach as tall as Sho Yin? How many Teddy Bears (little plastic teddy bear counters) could go from one end of Sho Yin to the other end? Hmm, maybe she would have to stretch out on the rug to be measured with Teddy Bears! What else could we use to measure Sho Yin? The teacher might start writing down the children’s suggestions and then come up with a great idea to share with the children. 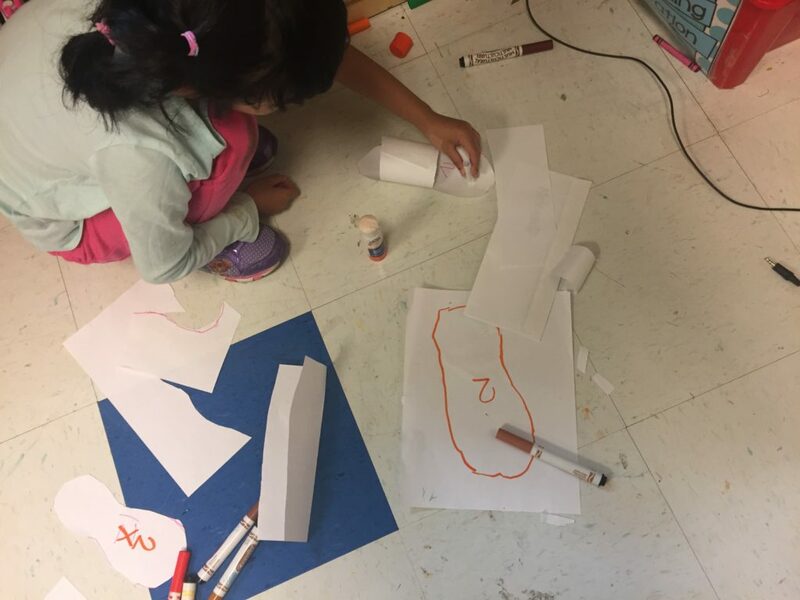 “How about a measuring center?” “What would we need to add to this center?” That is the birth of a new center that has grown right out of the teacher’s observations and interactions. The children begin to pick up on the teacher’s interest in what is happening during Choice Time. 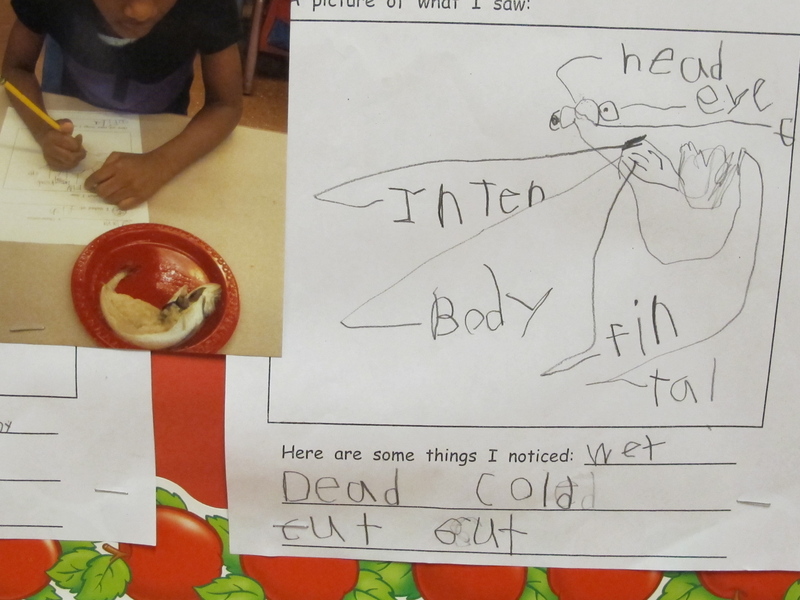 They notice that she is writing down notes of interesting observations and often sharing these with the class. They will notice how she gets new ideas that grow out of these observations. If this happens enough, children will begin making suggestions for centers based on what they notice happening in their centers. 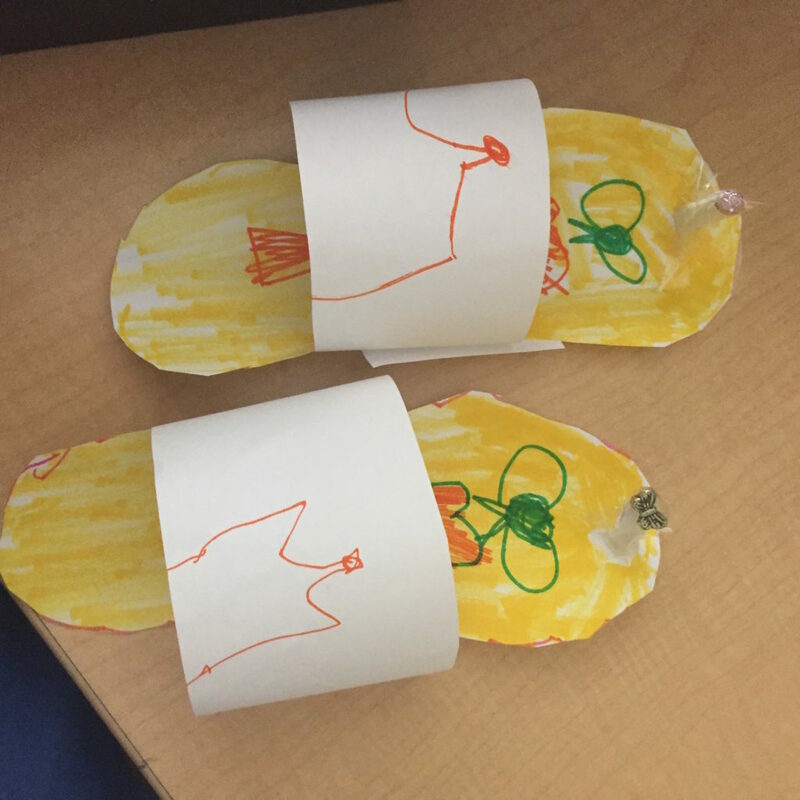 One year a group of kindergarten children in my class asked to share their great idea at meeting. I really didn’t know what to expect. “Let’s make a castle in the Pretend Center!” Well, this made complete sense. For some reason, this class of children had a particular interest in castles, kings and queens, princes and princesses. Many castles had been constructed in the block center. I’m not quite sure where this particular interest came from. I had been reading the chapter book, The Wizard of Oz, to them and maybe this sparked the interest. I’m not quite sure but they certainly were enthusiastic about this topic. I said that they certainly could make a Castle Center but that we should first find out more about what was needed. Over the next few days I read some fairy tale picture books aloud (the version of Snow White illustrated by Nancy Eckholm Burkert was a favorite), and I found a shared reading book about a King (I can’t remember the title!). 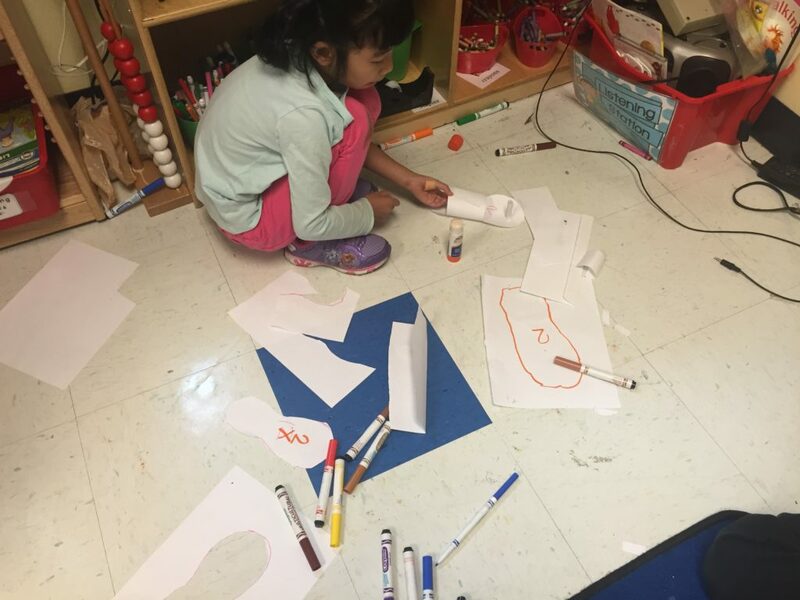 We made lists of what we needed in terms of dressing up and also decorations and then opened up an art center for making crowns, capes, wands, fancy-colored windows (dipping napkins in a water and food coloring mixture) and turning two chairs into fancy thrones. Signs were also made and hung up all around the center. Scrolls became important. There was a lot of writing important messages and proclamations on paper turned into scrolls. When all of this was done, the Castle Center was officially opened. It was interesting to observe the children playing there because, in many ways, it was the same type of play that they did pre-Castle…but with an added zest! It was the children’s incredible imagination and life force along with my openness to listening and taking their ideas seriously that opened up a new center for exploration and play. This entry was posted in Investigating Choice Time: Inquiry, Exploration, and Play and tagged blog for parents of young children, blog on education, Choice Time, Early childhood education blog, kindergarten, Nancy Eckholm Burkert, observations, pretend center, scrolls, unifix cubes on December 10, 2010 by Renee.